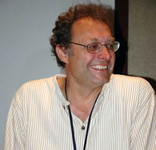 Paul Park has been nominated for a Nebula award and two World Fantasy Awards. He also writes science fiction. Here’s his website. The Roumanian Quartet — (2005-2008) Young adult. Publisher: A girlish daydream becomes all too real in this masterpiece of contemporary fantasy. This is a truly magical tale, full of strangeness, terrors and wonders. Many girls daydream that they are really a princess adopted by commoners. In the case of teenager Miranda Popescu, this is actually true. Because she is at the fulcrum of a deadly political battle between conjurers in an alternate world where ‘Roumania’ is a leading European power, Miranda was hidden by her aunt in our world, where she was adopted and raised in a quiet Massachusetts college town. When I was a preteen, I was a sucker for books about everyday, average girls who turned out to be long-lost princesses of some obscure country or other. 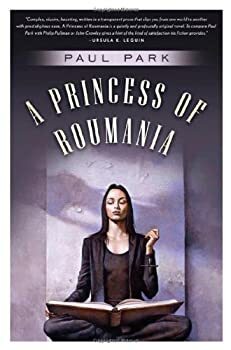 A Princess of Roumania is an original take on that old trope, looking at that girlish fantasy from a couple of new angles. I'm not a big reader of avant-garde fiction. 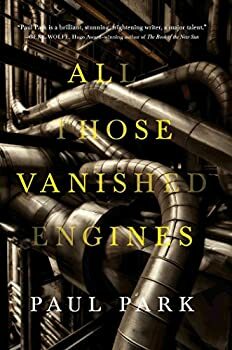 In fact, I'm SO not a big reader of it that I'm not even sure if I'm applying the term correctly to Paul Park's recent novel All Those Vanished Engines. I'm probably not. But the thing is, I'm not sure what term to apply to it: meta-fiction? Experimental fiction? Alternate history with several unreliable narrators who may or may not be Paul Park himself? 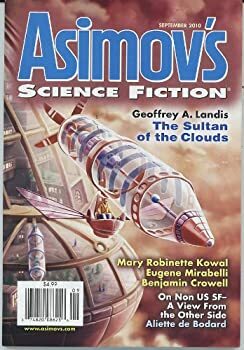 I’ve always thought that the novella was a perfect length for short science fiction or fantasy, because it gives an author space enough to build a complete world and form characters who live and breathe in the reader’s imagination. You need more room to do this in these genres than in mainstream literature, where an author can assume that the reader is at home in the world of his characters. Yet a novella is also short enough to be read in a single sitting – a perfect lunchtime read, for instance – and a reader can take in an author’s entire milieu and ideas in one gulp. Where copies of the novellas are available online for those who wish to read them, I have linked them so that you can have as good a week of lunches this week as I had last. The Starbridge Chronicles — (1987-1991) Publisher: Where the seasons last for generations, hard winter makes for hard religion. The worlds of the solar system are the hells through which all souls must incarnate on their journey to Paradise; all, that is, but the Starbridges, nobles who serve to enforce the “divine will.” In the lowest slums of the city-state of Charn, a Starbridge doctor and a drunken prince defy the law to bring medicine to the poor and hear the story-music of the refugee Antinomials, a wild people who shun words, infidels pressed to the edge of extinction. As a decades-long pitched battle approaches the city and the Bishop of Charn herself is condemned for impurity, the doctor and the prince will follow their compassion into the heart of a revolution, just on the eve of spring, with its strange and treacherous sugar rain. Celestis — (1993) Publisher: On a distant planet, discovered and exploited by the Americans, there are two native races — the Aboriginals and the Coelestis. The former have sold their souls and bodies to the American colonists, the latter have been haunted almost to extinction. CLICK HERE FOR MORE FICTION BY PAUL PARK.